"The compact sub 4 metre sedan segment have always been a trending topic amongst the folks, and the launch of new Dzire have made this segment much more thrilling. Let's find out if Maruti Suzuki's brand new product which has been the undisputed leader of the segment over past years would hold an edge when put against the likes of Xcent, Aspire & VW Ameo". The prices for the top end variant of New Dzire goes up-to 10.84 Lakh Rs. on-road Delhi whereas the top end variant of the Xcent will cost you about 9.75 Lakh Rs. on-road Delhi. 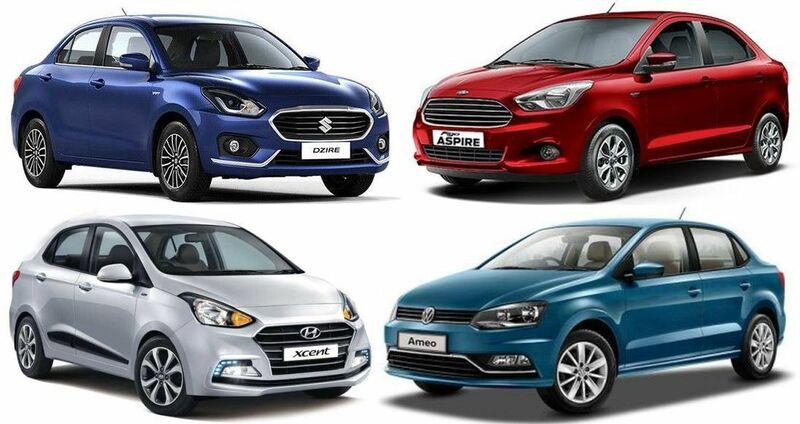 The Prices of the top end trims of Figo Aspire & Volkswagen Ameo are 9.16 Lakh and 11.89 Lakh Rs. on-road Delhi respectively, where the Ameo is costliest of the lot and the Ford Figo Aspire being the cheapest. Though being compact sedans , all of these four cars are equipped with an option of an Automatic transmission to choose from the provided variants. When it comes to the features, the new Dzire and Ameo comes with all those bells and whistles which a customer demands in his car. Hyundai is also known for the list of attributes that it offers but one would observe that the Xcent goes certainly behind in features when compared with the Dzire and Ameo. The Ford Aspire seems to be way behind in providing features when put against its competitors, as it fails to offer the most convenient feature like reverse parking camera & sensors even on its top end Titanium plus variant. Airbags, ABS, Engine Immobilizer, Central locking, Automatic Climate Control, 12V Power Outlet, Tilt Steering Adjustment, Height Adjustment for Drivers Seat, Power Windows at front and rear, Anti-glare Mirrors, Rear Armrest with Cupholder, Electrically Adjustable and Retractable ORVMs with Turn Indicators, Rear Defogger, Fog Lamps, Average fuel consumption, Average Speed, Integrated Infotainment Music System, Aux, Bluetooth, FM, Steering Mounted Controls. EBD, Brake Assist, Child seat Anchor points, Speed sensing Door lock, Rear AC vent, 2 Power outlets, Push Button Start/Stop, Rear parking sensors with camera, Driver Armrest, Led Headlamps with DRLs, Follow me home headlamps, Adjustable Cluster Brightness, MID, Touch Screen Infotainment with Android auto and Apple Car-play with GPS, Voice Command, 6 Speakers. Rear AC vent, 2 Power outlets, Push Button Start/Stop, Rear parking sensors with camera, Touch Screen Infotainment with Android auto and Apple Car-play with GPS, Voice Command, Cooled Glove-box. 6 Airbags, EBD, Shift Indicator, Speed sensing Door lock, Follow me Home headlamps. ESP, Hill Hold Control, Child seat Anchor points, Speed sensing Door lock, Rear AC vent, Tilt and Telescopic steering, Cruise Control, Folding & Split rear seat, Sun-glass holder, cooled glove box, All windows one touch up and down, Rear parking sensors with camera, MID, Driver Armrest with storage, Touch Screen Infotainment system , Voice Command. Maruti Suzuki continues with the same sets of powertrains in the new Dzire. The 82 bhp 1.2-litre petrol engine and the well founded 74 bhp 1.3-litre Multijet diesel engine have always performed gloriously over the years. The best positive thing now is that both engines are now available with a 5-speed automated manual transmission or AGS to be precise. This makes the Dzire the only car in the segment to offer an automatic transmission option in both petrol and diesel trims. The petrol motor is barely audible at idling revs. It feels responsive straight of the line, and delivers power in a smooth and linear manner. The five-speed manual transmission is joy to use but the clutch tends to feel a bit springy at times. The petrol AMT tries to upshift as quickly as possible and thus feels jerky sometimes. Though the AMT also gives you option to shift gears manually. The diesel unit does suffers from turbo lag- but once the turbo kicks in, the punch from the mid-range becomes hefty, while the NVH levels are still harsh at higher revs. Hyundai has addressed the face-lifted Xcent with a brand new 1.2-litre U2 CRDi oil burner that now produces 74 bhp and 187 Nm. The new engine now feels much tractable and eager to go, and though there is a bit of turbo lag, but once you cross 1800 rpm mark, peak torque kicks in and there's sufficient power at your disposal. The most significant part is that the Xcent now feels more peppy, and not lazy, off the line. The five-speed gearbox is as slick as ever and is delight to use in regular driving conditions. The performance is brisk but not particularly exciting. 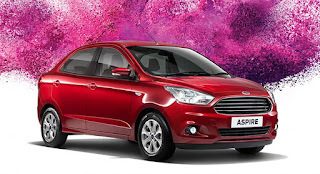 With three engine and two transmission options, the Ford Aspire offers the widest range of powertrains in the segment. A 5-speed manual gearbox is mated with either a 1.2-litre Ti-VCT petrol unit that makes 87 bhp and 112 Nm of torque or a 1.5-litre diesel mill that produces 99 bhp and 215 Nm of torque. The 6-speed dual-clutch automatic gets an engine all to itself in the form of a 1.5-litre Ti-VCT petrol that makes healthy 110 bhp and 135 Nm of torque. This engine is lifted off the Ecosport, but makes 4 Nm less torque than the compact Suv. The petrol engines glitters in level of refinement but fees dull at many points in the rev range. The gearbox is well suited to sedate driving style. But Ford needs to work on a much capable 1.2-litre petrol against its competitors. Spend 10 minutes with the Aspire diesel and you'll immediately fall in love with its performance. The diesel offers fantastic drive-ability in the city with well controlled turbo lag. If you're buying the Aspire and are confused which engine to pick, don't even think twice.Just go for the diesel with your eyes shut. 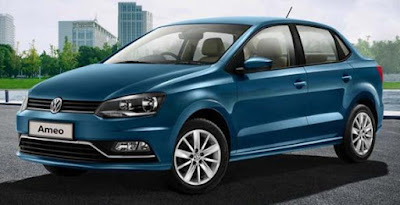 Volkswagen introduced its compact sedan Ameo with same 1.2-litre 3-cylinder petrol engine as the polo. Fire up the petrol engine and the 3-cylinder motor becomes audible unlike the smooth 1.2-litre engines of Maruti/ Hyundai/ Ford. Throttle response is healthy and will never let you feel that Ameo is under-powered in the city. The short gearing and generous torque makes the engine feel rev happy at lower range and offer enough grunt at mid-range. The Ameo's 1.5-litre diesel mule has been tuned to produce 108 bhp on tap. But the headline figure here is the 250 Nm torque between 1,500rpm to 3,000rpm - right where it matters! This means that it has out-spaced the rest of the sob-compact sedans in the segment. The addition of a 5-speed manual and a 7-speed twin clutch DSG makes it even better. The gear shifts are pretty smooth and there's adequate power on offer. The DSG is calm, collected and there can be no complaints. The Dzire is the only compact sedan which is available with both manual and automatic transmissions in petrol as well as diesel variants. The advantage of Dzire is that both of its transmissions offers an exact fuel efficiency of about 22.0 kmpl in either of the fuel types i.e petrol and diesel with both manual and automatic transmission. Whereas the Xcent, Aspire and Ameo shows difference in fuel efficiency with petrol and diesel variants and also with manual and automatic transmission. The new Dzire offers you lavish amounts of rear leg room and a comfortable rear seat with good under-thigh support. The Dzire's also features rear AC vents and centre armrest with cup holders for the back row passengers, so that you don't mind getting a chauffeur for it. The new Heartech platform used on the Dzire frees up some extra legroom for the rear occupants which also provides sufficient shoulder room at the back and getting three people to sit on the back seat is longer a squeeze. It also offers you with a 378-litres of boot space which is second most largest in the lot. The Xcent continues to offer a pretty spacious cabin with nice touches like a rear aircon vent , a cooled glove-box and rear armrest with cupholders. The Xcent redeems itself with a class leading 440-litre boot, making it a pleasent deal for those long road trips. The interior are made of quality materials, the bucket seats at the front provide decent support, rear legroom is also impressive. Though the comfort of the rear seats could be tweaked a lot better. 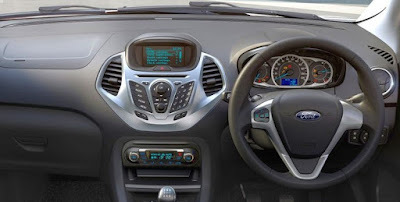 Ford Aspire truly shines in the terms of practicality that it offers inside the cabin. There're not just many cupholders but even the door pockets can hold large water bottles. There's more than adequate space in the cabin with plenty of legroom for all occupants. The seats are well designed and bolstering is quite good. Making things better is a good seating position with a 359-litre boot, which actually makes this car worth considering as a sedan. 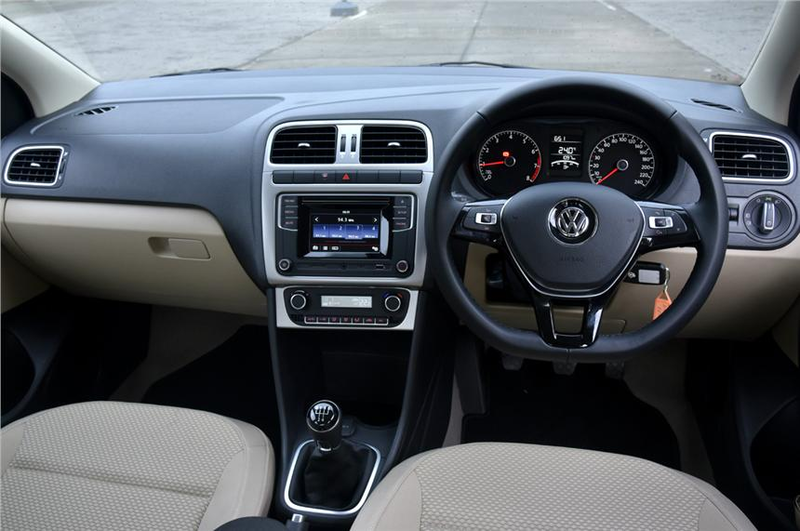 Volkswagen has equipped Ameo with the same wheelbase as that of the Polo, so you will feel cramped at the back. The front seats though provide a well laid out comfort, but overall, the Ameo's rear legroom is now-where close to class-leading! While the silver inserts on the dash, rear armrest and AC vents do try to make things better. Ameo packs a 330-litres of luggage space though, which while decent, is far and lowest from the segment benchmark. The 15-inch tyres on the Dzire give it a planted feel. The new flat-bottom steering is now much chunkier, feels nice to grip, it's quite light and easy to twirl too but certainly lacks feel.. There's a new level of suppleness and bump absorbing capability in the suspension setup. The brakes also performed quite well. This compact is effortless to manoeuvre in the city, thanks to its 4.8m turning radius. The ride and handling of the Xcent are much same as the older car, which is to say that it rides quite well at any speed and deals with broken roads quite well. But there's a fair amount of body roll when driven hard and the steering also lacks enthusiasm and feels disconnected from the road. The suspension setup and steering on the Aspire will really disappoint you at times. Don't get me wrong, the suspension does a great job of going over the bumps and potholes in the city but when you're driving fast and pushing into the corner, the steering shows no intimate relationship with you and the suspension feels a little too soft , leading to plenty of body roll. Volkswagen does seem to have fiddled with the suspension of the Ameo to stiffen it up. The suspension absorbs very well, controlling the body movements and even keeps the car planted over road undulations around corners. Ameo's well balanced chassis allows you to carry serious speeds around bends. The light and accurate steering complements the driver especially on the highways. In fact , we'd say that Ameo has the best riding characteristics in its class. Maruti Suzuki is well known for the quality of service which they offer to their customers. You get a hassle free ownership experience if you buy a Maruti Suzuki. Also they have the widest number of service outlets across the country. The spares and labour cost of Maruti Suzuki is lowest when compared to its competitors. Hyundai offers you a great peace of mind service but the same is not ensured in terms of reliability. The maintenance cost of Hyundai is not too high or low, it just stays average all the time. It has vast expansion of service stations in the country, which is second to Maruti. Ford has always been great in taking feedback from the customer and providing them optimum after sales service. Their product quality and reliability has always been great and have improved over time. Ford also claims that maintaining a ford is a way cheaper now. You'll never hear any negative about the after sales service of ford as per the user experiences quote. Non of the brand has been as consistent in providing sheer quality products and reliability as the Volkswagen. They are one of their kind. The type and quality of materials that Volkswagen use in their lineup is worth considering and you wouldn't mind paying an extra penny for the same. Although the maintenance of a Volkswagen is bit on a higher side when compared to its competitors. Also Volkswagen need to expand its reach across the country like that of Maruti, Hyundai and Ford. At present, buyers have variety of options to pick from when they look into the compact sedan segment. Almost all manufacturers have a participant to compete for the pride of the brand in this particular segment. People want a car which not only fulfill their driving demands but also feel luxurious inside. Taking about the above scenario, all these four contenders - Dzire, Xcent, Aspire & Ameo are better in some or the other aspect and you can't de-emphasize any of them. So the question is that which one offers the best bang for buck ? Volkswagen has delivered its premium compact sedan Ameo with tons of features, top-notch safety equipment and admirable build quality. The petrol's performance is underwhelming. But if you want lip-smacking performance though, look no further than the Ameo DSG. It's the most powerful car here with 108bhp on tap. But it should be kept in mind that the Ameo has limited boot space and the rear seats aren't as spacious as the rivals. Also Volkswagen's dreaded cost of ownership could refrain you from putting your money down for this offering. The Hyundai Xcent also got updated recently. It's got plenty of new features and a brand new 1.2-litre diesel engine which is more refined and better to drive than the outgoing 1.1-litre unit. The Xcent now has a long feature list but it misses out in terms of superior driving dynamics that others cars in this segment would offer you. On the higher side, if you're looking for creature comforts and a brand with a wide service network, the Xcent can be the sub-4m sedan for you. 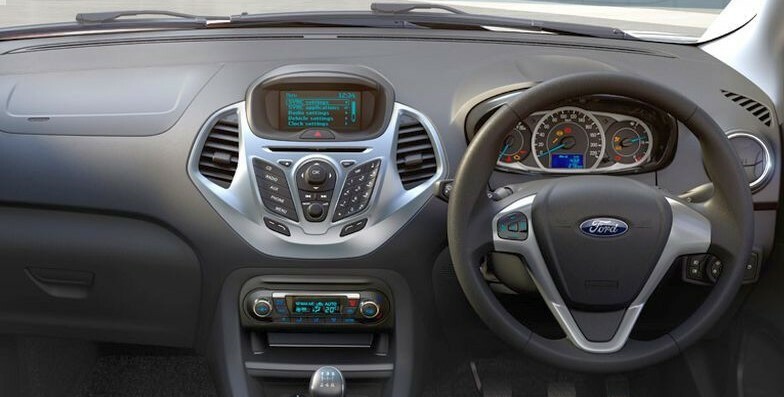 The Ford Aspire is priced very aggressively, feels nicer to drive and has low maintenance costs. But the cabin, despite being spacious, feels a bit dated now and the equipment list - apart from 6 airbags, is limited. The Aspire diesel becomes the go-to car for enthusiasts who want to strike a balance between driving pleasure and practicality. The only aspect that takes away from the spirited nature of the Aspire is its steering and suspension setup. The new Dzire appears to be promising. It offers ABS and dual airbags as standard and is one of the most feature-rich cars at the top of the spectrum. It has the most modern interior, well equipped cabin space and superlative comfort. It drives well and is the most fuel-efficient car here. It even looks god now, and the AMT now being offered with both petrol and diesel engines, that too in all the variants except the base, the Dzire turns out to be that one car that looks set to sweep the segment again on the sales charts. If i had to pick out a clear winner from this test, it has to be the new Maruti Suzuki Dzire. It checks all the boxes, looks and feels contemporary, and is just what the customer demanded. At the same time , it is priced very competitively too. So, if you're looking for an all-rounder budget compact sedan that offers a perfect blend of comfort, dynamics and equipment list along with a convenience of automatic gearbox, then Dzire will be the ultimate solution for all your necessities.